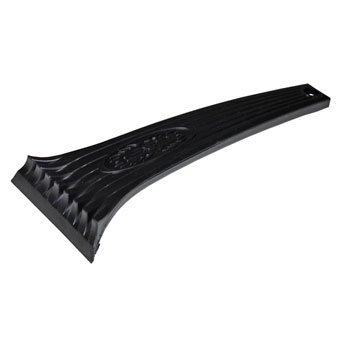 Snowbrush and ice scraper features: wide flat handle, double side edges - one straight edge and one serrated edge to scratch ice for easier removal. 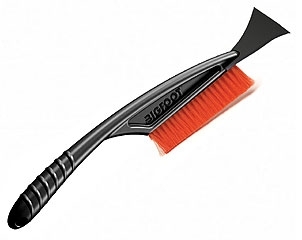 Scraper has black a handle with orange bristles. 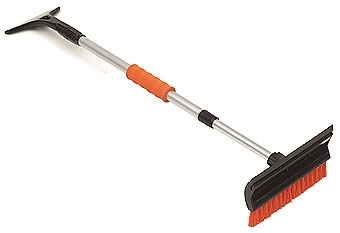 Features include a 48 inch foam comfort grip handle, an ice scraper and a telescoping broom for sweeping snow off of vehicles. This 9 inch Bigfoot Ice Scraper made tough to last through many winters of ice and snow. 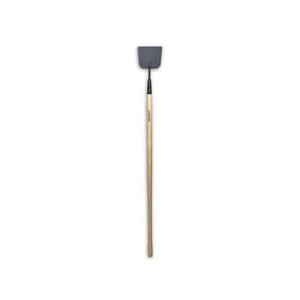 For scraping ice and other encrusted materials from hard surfaces. 7 in. x 5 1/2 in. Shank paTRUE TEMPERern, forged, steel blade with 48 in. 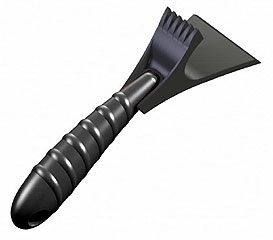 Ash-wood handle.